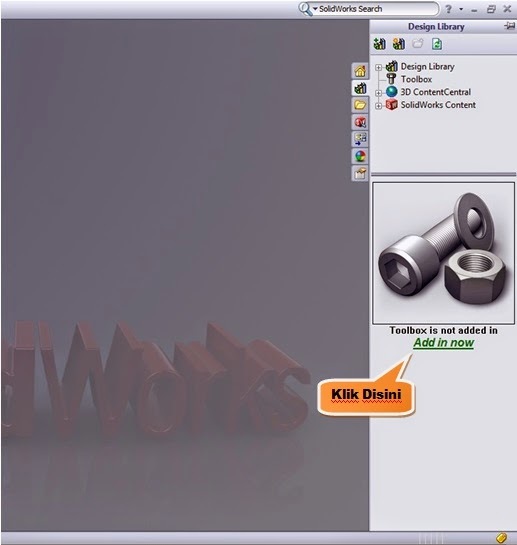 For this time, I would like to make an article about “How to make a gear with SolidWorks software”. Now, I will make a spur gear like in the image above that having 50 number of teeth. 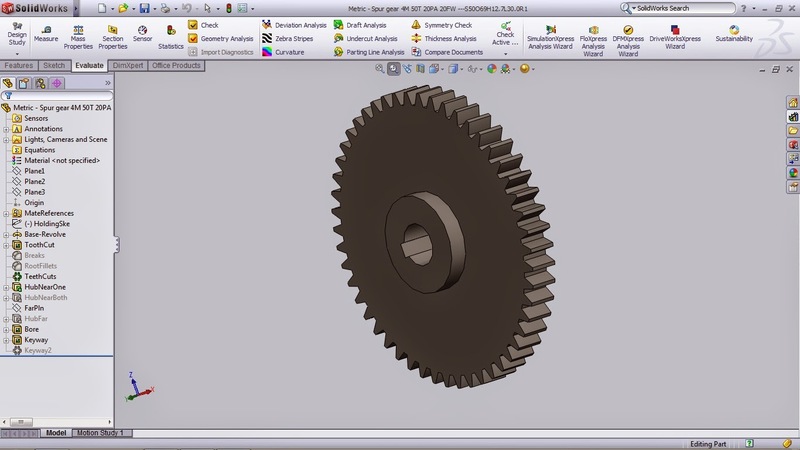 Making gear on SolidWorks are easier than making gear on Autocad because we just need to put the parameter likes Pitch Diameter, Modul, Shaft Diameter, and etc. 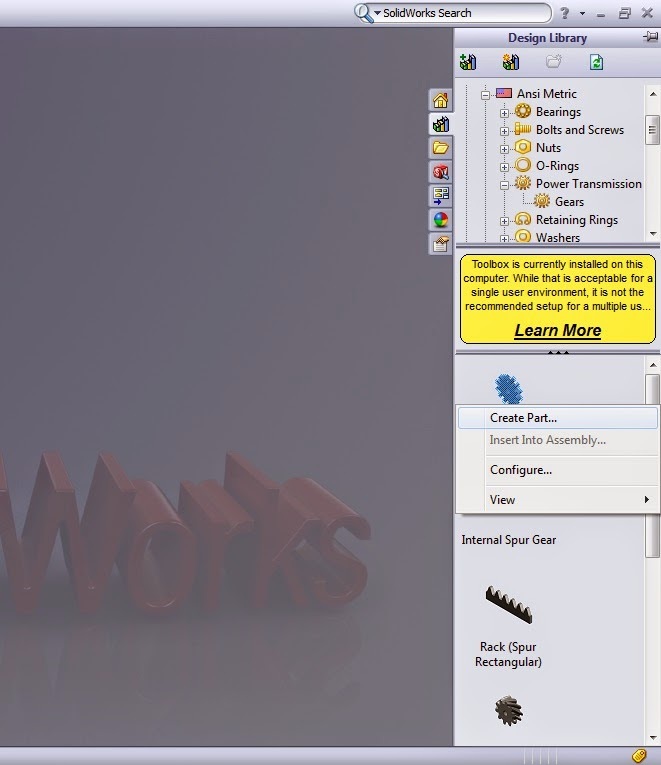 Let’s begin to Make Spur Gear With SolidWorks. And then choose the ANSI Metric and click it twice. Then choose and click the Power Transmission twice. Then choose and click the Gear twice. After that, the kind of gear choices will appear. Then click the Spur Gear and click the right side of the mouse then click Create Part. After that, there will be the choices of Feature Manager on the left screen sides. Then just put the parameter for gear that you’ll make. And after we’ve been fulfilled the parameter click the green checklist and the SolidWorks will running to process our gear design. Here we go, our gear would be like this. 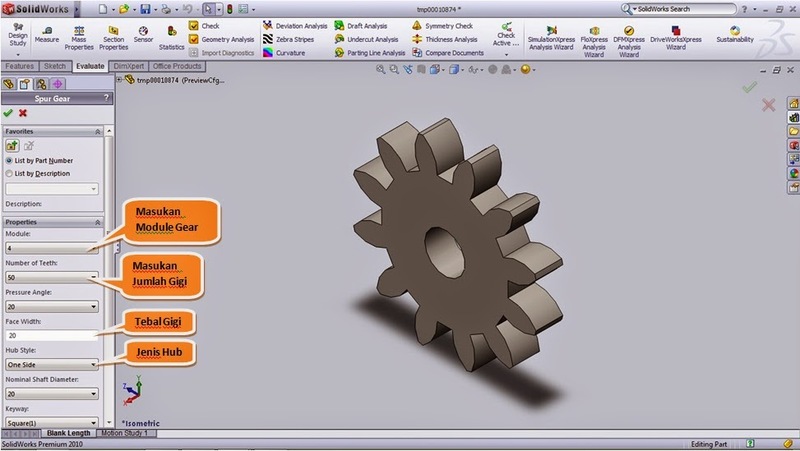 Those are How to create Spur Gear with SolidWorks and if you want to modify the gear back, it means giving tapped hole to the keyway, just modify itself with your own design. Just see the next tutorial.